Here is a question I’ve been wondering about recently: Do we believe that holiness is the key to happiness? That used to be a bedrock Methodist belief. The reason we wanted to help men and women become holy was because we believed that the secret to true, lasting, and invincible happiness was to be holy, as God created us to be. This was our prescription for the illnesses that weighed down the soul and blighted the world. Of course, it has always been true that huge numbers of people do not agree with either the diagnosis or the prescription. They stoned the prophets and murdered Jesus, after all. Holiness as the key to happiness and cure for the world have always faced strong opposition and evangelists of rival gods. Hollywood and Madison Avenue and the Pentagon have always promised us other ways. Here is what we used to say. God created us to live in peace, joy, and happiness with God and each other. We are none of those things because we are slaves to sin and death. The solution cannot be found in our own good works, something we buy, or even by banding together into communities dedicated to righteousness. The solution is God. What we lack, and often do not even seek, is communion with God. The name of the peace and happiness that so eludes us is Father, Son, and Holy Spirit. Now, here is the problem. If you look at the church, it is not often a very good billboard for the life of happiness, peace, and joy that God offers. You cannot blame the world when it doubts that we have discovered the secret of happiness. It is the task of the church to always be an imperfect reflection of the perfect happiness it proclaims. That we do often fail to embody holiness is a grievous problem, but it is an entirely different problem than no longer believing in holiness itself. So, I find myself wondering, do we believe in holiness still? “Are you going on to perfection?” A Wesleyan question. It is a question, though, that makes an assumption, namely that we are not there yet. While we desire, long for, and strive to be made perfect in love, we must admit that if we are still going on, we have not arrived. This makes pastoral work a messy thing because we so rarely meet anyone — including that clergy person in the mirror — who has leaned fully on the power Christ gives us to conquer sin. We are constantly greeted with the question of how best to nurture further growth. Do we place our eye on the weeds or the wheat in the life of the person before us? Again, I ask this question about myself as well as others. 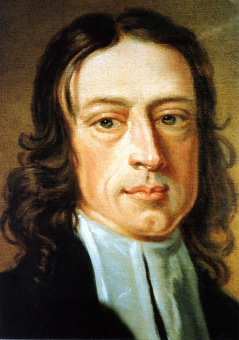 In John Wesley’s sermon “The Repentance of Believers,” he describes the state of the soul of those who have been justified but are still going on to perfection. [A] deep conviction that we are not yet whole; that our hearts are not fully purified; that there is yet in us a “carnal mind,” which is still in its nature “enmity against God;” that a whole body of sin remains in our heart, weakened indeed, but not destroyed; shows, beyond all possibility of doubt, the absolute necessity of a farther change. We allow, that at the very moment of justification, we are born again: In that instant we experience that inward change from “darkness into marvellous light;” from the image of the brute and the devil, into the image of God; from the earthly, sensual, devilish mind, to the mind which was in Christ Jesus. But are we then entirely changed? Are we wholly transformed into the image of him that created us? Far from it: we still retain a depth of sin; and it is the consciousness of this which constrains us to groan, for a full deliverance, to him that is mighty to save. Wesley urged Methodists to attend closely to the “inbred monster’s face” within. He warns that we not forget that nothing in our worthiness led Christ to shed his blood for us, and nothing in our power can overcome the darkness that still lingers within. It is only obedience to and trust in Christ that will move us along the way. And so, as a United Methodist pastor, I find myself wondering how to live this doctrine out in the midst of the messy not-yet-there church in which I serve. I was talking the other day with someone who — like me — is excited about the upcoming release of the new Star Wars movie. We had both seen a video about the movie that was released at a comic convention. What we shared was how excited and eager we were for the release date to arrive. It makes you ache to have to wait for it arrive. Take our money, now, we joked. Do we ever, ever, ever get close to describing the future God has in store for us with enough clarity to make us ache that way at the gap between the world to come and the one that is? Unlike waiting for a movie release date, of course, the gap we live in is not just about time. We do wait. But we also know we are not ready for the day to arrive. It is like we are movie fans who have not yet grown ears or whose eyes cannot see the images on the screen. And even more than that. There is a gap within our hearts. Wesley’s inbred monster whispers to us that we should not even long for such a day to arrive. It is an illusion or the mirage conjured up by people who want to oppress or stifle us. The movie studio is just in it for the merchandising and the money, after all. The church is just about power. How do you reach people in such a world? How do you sort through the messiness of pilgrims who still have far to go? What do you do with those who would rather stay in Egypt than imagine Israel? And yes, you are sometimes, like Aaron, among the ringleaders.